AUBURN, IN (January 23, 2019) Following a vote by the board of directors on January 18th, DeKalb Health announced in a series of staff meetings Tuesday its intentions to pursue a partnership affiliation with a larger healthcare system. Located in Auburn, Indiana and dubbed the “Miracle of Indiana,” DeKalb Memorial Hospital Inc.doing business as DeKalb Health opened its doors in 1964 and has operated for more than half a century as an independent community hospital serving the healthcare needs of DeKalb County and surrounding communities. 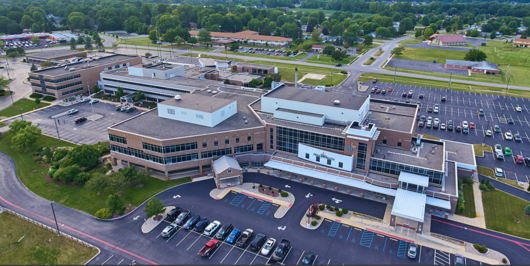 Employing over 625, DeKalb Health is licensed by the State of Indiana as a nonprofit, 56-bed, acute care healthcare facility and provides a variety of inpatient and outpatient services. DeKalb Health boasts a proud heritage of caring for our local community and vows to seek a system affiliation that will honor our past, and align for the future to ensure continued high-quality care, long term economic viability, and provide for the security of the DeKalb Health team members. Several healthcare systems were under consideration, and a letter of intent is being formalized. “While details are solidified, the board and hospital administration anticipate a period of time will ensue before an official affiliation is formally announced,” stated Terri Christiansen, DeKalb Health Public Information Officer. Additional information will be forthcoming as soon as it is made available,” Christiansen shared. Learn more about DeKalb Health by visiting dekalbhealth.com or at facebook/dekalbhealth.